It’s been a couple of weeks since I did a WIP Wednesday post but here we are again! I also broke my own rule and started another WIP, a mermaid tail for my niece. 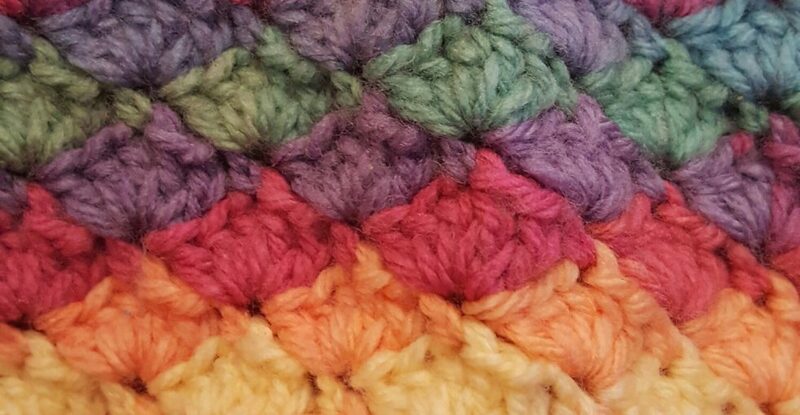 I decided to use my Aldi yarn from the last special buy event (UK readers will know what I’m on about!) and realised I am going to run out. There isn’t any for sale on eBay or anywhere but I need to put in a yarn order soon anyway so I will look for a suitable coordinating one to make the fin part. 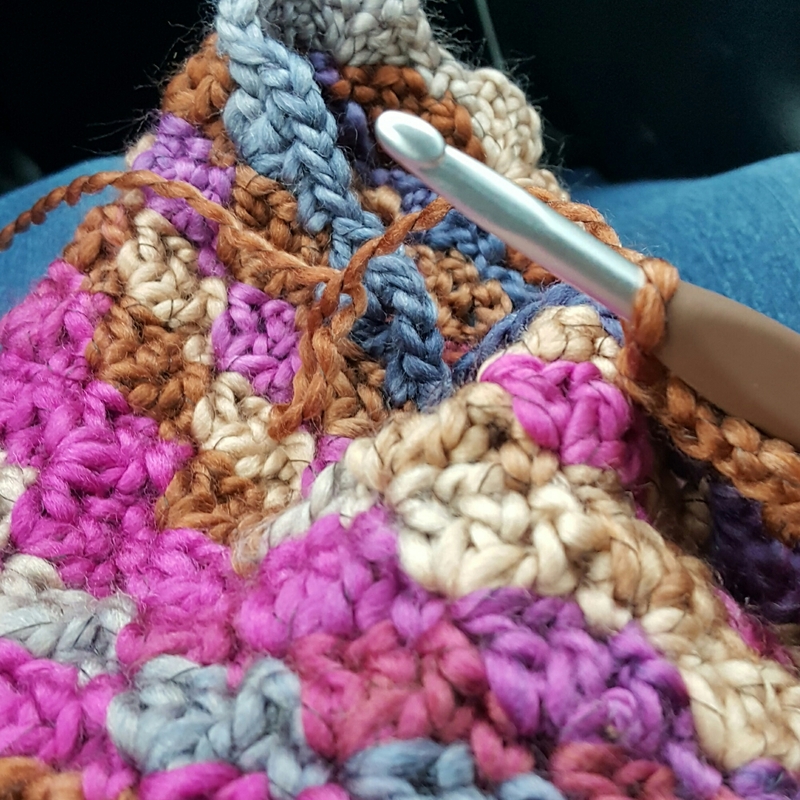 Mermaid tail car crochet action shot! Now all I need to do is keep focused and not be drawn into the temptation of a new project before one of these is finished! What are you working on? Are you a rule breaker when it comes to the number of WIPs you have? Proudly linking up to Wool on Sundays with Janine at Rainbow Hare. Next Post To Buy or Not to Buy? Thank you! Rules are made to be broken after all! The colours for the mermaid tail are delicious! Mmm, I got to the stage where I had 37 cross stitch wips, and suddenly began to lose heart as I couldn’t see any of them ever getting finished. I put them all away and took the three I had done most on, I finally had a happy dance, so took another out to keep it at three. Now the pile is reduced and there are about 9 wips, though I am still inclined to keep it to 3 I am currently working on I do sneak in a newbie when I go on holiday or if something tiny (like an ornament sal) comes along. I have never seen wool in our Aldi. Sounds like you found a good strategy that works for you. It’s easy to get overwhelmed isn’t it, and then craft just doesn’t feel like fun. There is a rule that we cannot start another project before finishing one? Nuts…..I think I have been busted. 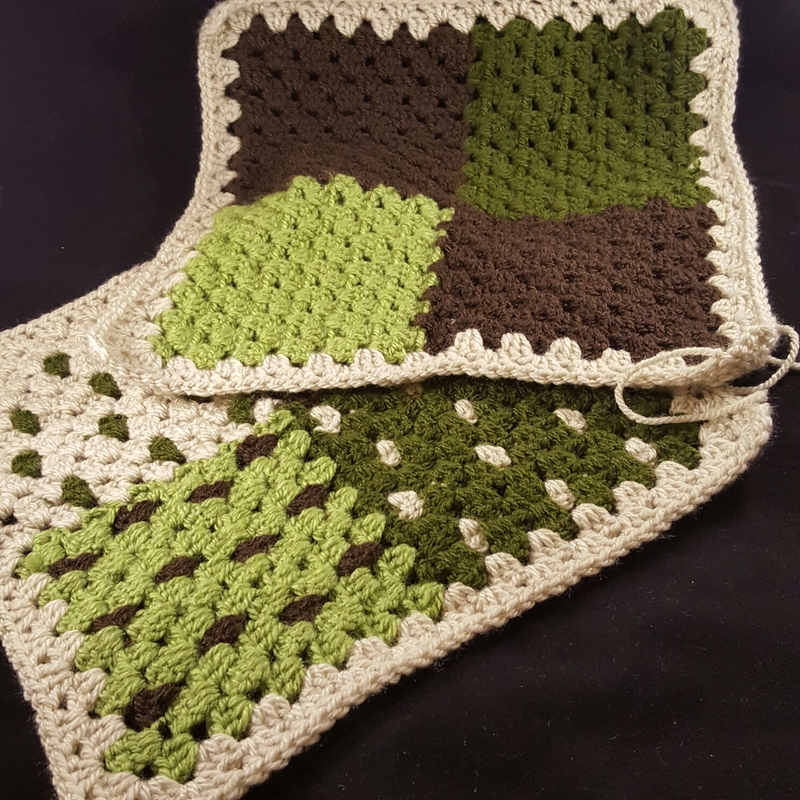 Your blanket is looking wonderful! Haha! Thanks, I’m determined to finish it before we go for our first caravan break. 😁 It’s too easy to break the rules over and over again! That’s a good idea, I find only having one WIP a bit frustrating. The colors for the mermaid tale are so pretty! I’m always guilty of starting up another WIP too! Thanks, it’s so easy to give in, I’m trying to stay strong for now! Oh I know that feeling! I always regret it the next day! These are lovely , what a lucky mermaid to be ! Totally guilty of swapping WIP’S, just have to keep making more craft bags to keep all bits together! Storage is the only problem!